Is a Frenchie for me? The French Bulldog, (or Frenchie as he is known by those close to him), is a handsome little dog, short and stocky with a short coat in colours of Fawn, Pied or Brindle. The males tend to be larger due to being more masculine weighing in at an average12.5kg, whereas the females average weight is 11.0kg. The Frenchie has an engaging personality. 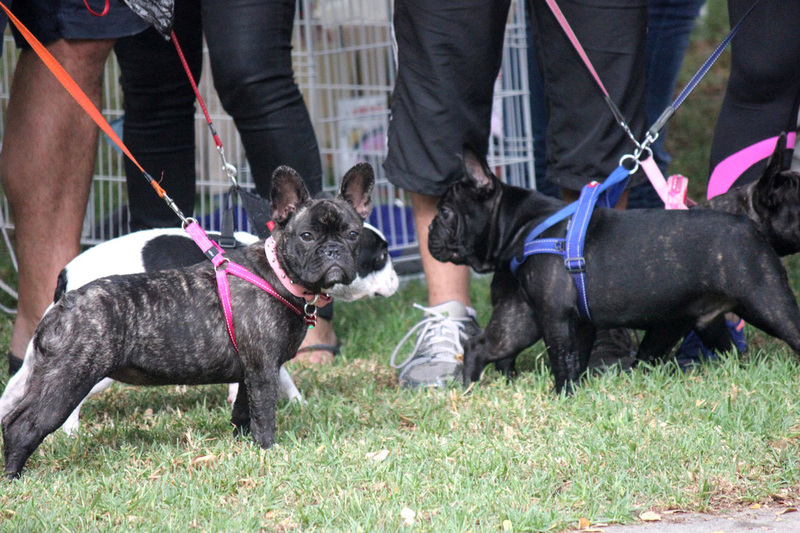 Frenchies possess an expressive, wrinkled face and their bat ears draw most admirers. Their intelligence and loyalty make them an ideal house pet. The Frenchie is a flat faced breed and great care must be given during summer months as they do not have the ability to cool down as quickly as a breed with a longer nose. They do not need vast amounts of space, nor do they require a lot of exercise. However, French Bulldogs require a great deal of close contact with their owners. Frenchies are very keen to make the most of any lounge space available, this is not a breed to be relegated to the backyard.